Scooper - Technology News: Brussels after Brexit: business as usual? 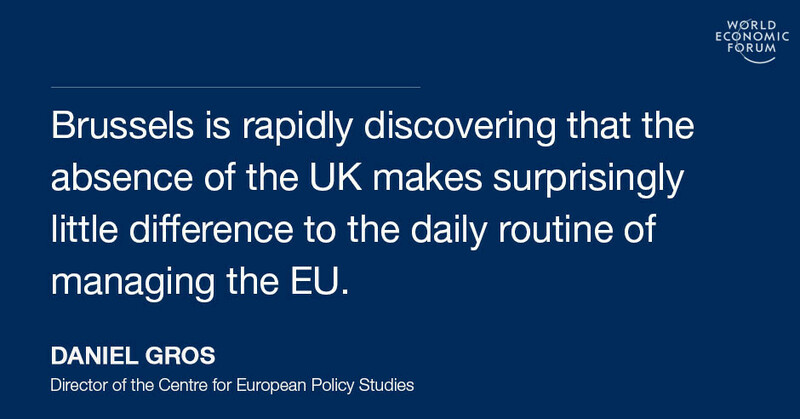 Brussels after Brexit: business as usual? Brussels had an extraordinary weekend to digest the news that the population of one of its most prosperous members had signaled its intention to leave the club. A hastily convened summit could do little but take note and give the British political system a few months to sort itself out. Given that the cost of waiting is reasonably small for the EU, Brussels could afford this delay. The pressure will in any case be piling up on the British side to make concrete proposals for a future relationship with “the continent”. In the meantime, life goes on. Brussels is rapidly discovering that the absence of the UK makes surprisingly little difference to the big issues and the daily routine of managing the Union. The single market of course remains a core part of daily business. But its management is a largely technical affair. The UK does not pose particular problems in this respect. On the contrary, the UK has so far been better than most other member countries in transposing directives and observing EU law. Some important flagship programs would of course be relevant for the UK: the capital markets union, the energy union and the digital single market. In the case of the capital markets union – which aims to integrate capital markets to lower the cost of funding and make the financial system more resilient - the UK would have played a key role, while the digital single market would certainly be much less meaningful without the UK. But in each case the UK does not represent either the main driver, or the main problem area. Without the UK, the capital markets union is likely to centre on the Euro and its banking union, but the project itself can go ahead without British participation. The same holds true in many other areas connected with the internal market: the UK has usually been a strong supporter, but these projects are now well established among the 27 remaining states, and are likely to go ahead regardless of Brexit. Moreover, it might very well turn out that the UK will in the end chose to pay the price for keeping access to the internal market and chose to join Norway in an arrangement called the European Economic Area (EEA – expect to hear this acronym a lot over the coming months). Under this arrangement, Norwegian firms have unfettered access to the internal market, but Norway has to accept most EU laws and regulations related to the internal market. This implies that if the UK were to choose the Norwegian (or technically EEA) approach the UK could actually participate in key elements of the capital market unions or the digital single market. The design would come from Brussels, but British firms and consumers would reap the benefits along with everybody else. If this happens, the economic cost of Brexit might be quite contained – as suggested by the relative calm of financial markets after the first surprise had been digested. Another reason why Brexit has only had a limited impact on Brussels is simple: the UK had already been absent from the two most salient policy debates: the management of the Euro and migration. Over the last years, numerous emergency summits have grappled with these two issues. But the UK Prime Minister did not usually take part in these meetings, because the problem did not regard his country, given that the UK is not in the Euro and does not participate in the passport-free travel area called “Schengen”. Both these two projects were clearly not well designed, and both came close to collapsing. But the leaders of the 27 countries concerned invested their political energy in saving them because they thought that they represented the future of the EU. The agenda for Brussels today thus goes way beyond the internal market. Brussels and the 27 countries it represents are committed to continuing along the path of passport-free border crossings and a currency union. Given that Britain was not traveling with them anyway, it might not be missed that much.